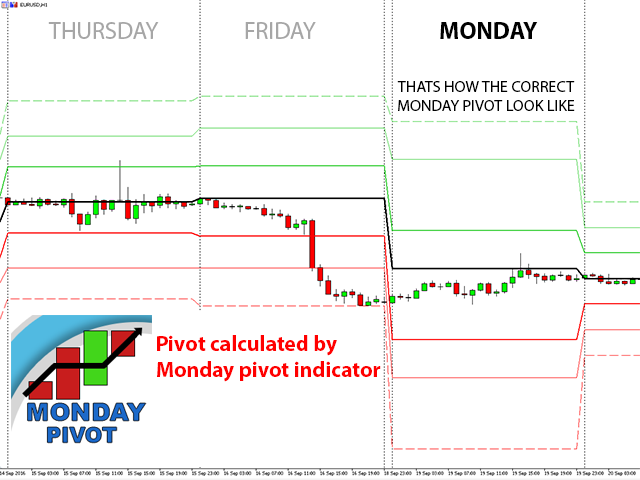 This is a FREE version of the Monday pivot indicator, it shows only one support and one resistance line. If you like it, buy the full version. The full version shows a classic pivot point line with three support lines, three resistance lines and history, nothing unusual here. 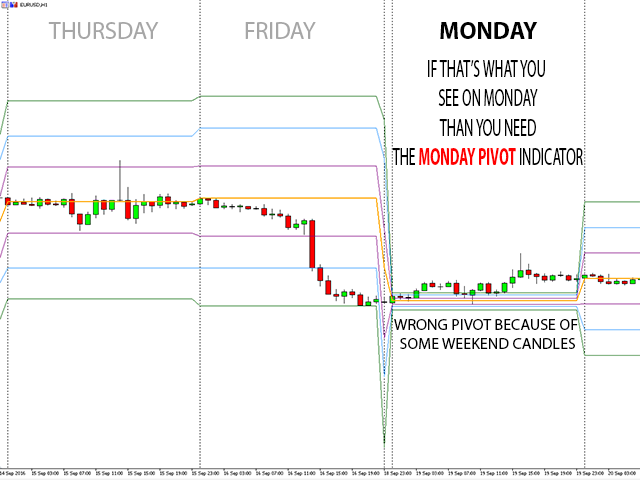 What's different is that it will show correct lines on Monday if you have some weekend candles. If you want to trade in different time zone there is also the possibility to shift time (hours and minutes). Pivot points are very useful tools that use the previous bars to project support and resistance levels for future bars. So if you use them for trading it's very important they show correct values every day.